Yang Yang, Yifei Liu, Yikuan Yan et al. 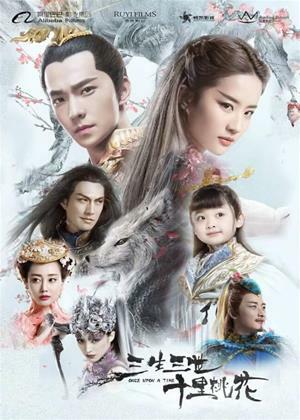 Based on the best-selling fantasy novel Three Lives Three Worlds, Ten Miles of Peach Blossoms, "Once Upon a Time" is a story of epic battles, deep passion, and the powerful forces that drive mortals and gods alike toward revenge, loyalty, and eternal love. Bai Qian, a goddess and monarch from the Heavenly Realms, is sent to the mortal world to undergo a trial to become a High Goddess. There, she meets Ye Hua, with whom she falls in love and marries. When an old enemy reappears in her life, everything she holds dear is threatened.